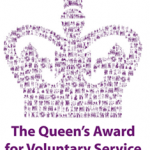 We are very proud to be able to announce that we have been honored with the Queens Award for Voluntary Service. 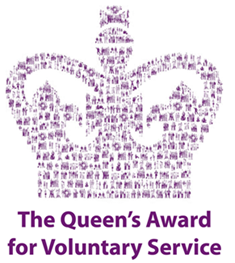 The Queen’s Award is the highest award given to volunteer groups across the UK for outstanding work done in their local communities. Our Volunteers form the backbone of our organisation and we would find it very difficult to support bereaved children without their support. Most of our volunteers are involved in assisting with bereavement days and there is a training programme to enable them to understand how children grieve and how they can respond effectively. The opportunity of working with a team of people who have the capacity for fun and enjoyment as well as a depth of compassion. We provide on-going training throughout the year led by the needs of the volunteer, but being determined by the aims and objectives of the service. The volunteer will benefit from regular group supervision and expenses will be paid when undertaking Penhaligon’s Friends work. As a volunteer you are encouraged to share your experience and skills and you will be supported to develop new ones. Penhaligon’s Friends is made up of a team of professionals and trained volunteers experienced in working with bereaved children and parents. All staff and professionals have undergone our recruitment process which includes training, references and CRB disclosures and an interview.